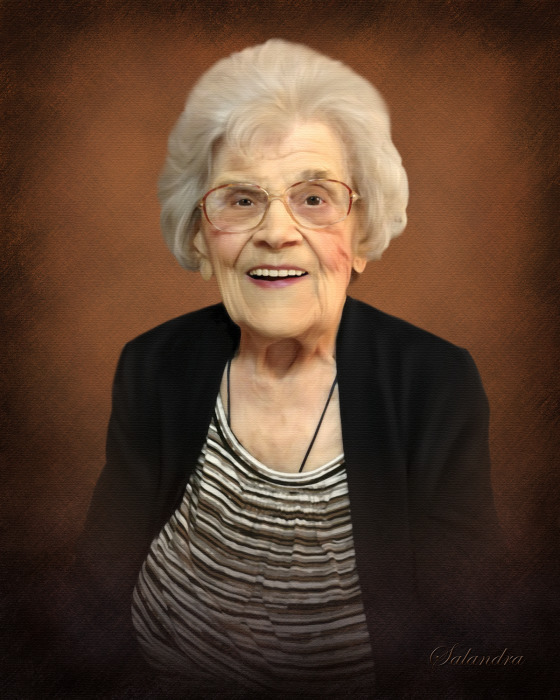 Obituary for Stella M. Lesniakowski | Salandra Funeral and Cremation Services, Inc.
Stella M. Lesniakowski age 101 of Canonsburg passed away peacefully Wednesday, November 21, 2018 in TownView Health and Rehabilitation Center Canonsburg. She was born February 28, 1917 in Canonsburg, a daughter of the late Frank and Antoinette Plezia Czarnecki. Mrs. Lesniakowski lived her entire life in Canonsburg where she was a member of St. Patrick Roman Catholic Church and the former St. Genevieve’s Church. She was a homemaker who was an excellent cook and baker, always giving people something, especially her noodles and pierogies. Stella loved her children and grandchildren, polka music, her garden and had been a member of the Orchard Lake Society at St. Genevieve’s. Friends and family are welcome from 2-8pm Sunday, November 25, 2018 in Salandra Funeral and Cremation Services, Inc. Joseph P. Salandra LFD owner/supervisor, Darla Tripoli LFD 304 West Pike Street Canonsburg 724-745-8120 where departing prayers will be recited at 9:30am Monday, November 26, 2018. A Mass of Christian Burial will be celebrated at 10am in St. Patrick Church 317 West Pike Street Canonsburg. Entombment will follow in Queen of Heaven Cemetery, Peters Twp. Memorial Contributions on Mrs. Lesniakowski’s name may be made to the charity of one’s choice. To view or extend condolences please visit www.salandrafunerals.com.